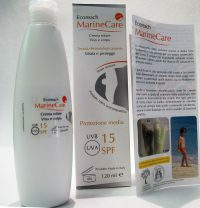 Born in 2012 EcoReach L.t.d is a consulting R&D company founded by university researchers (Polytechnic University of Marche) with a multi-year experience in the research applied to marine life and environment. 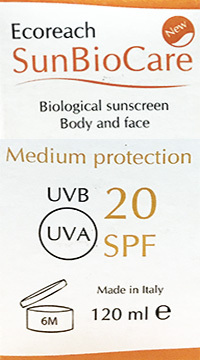 Such an experience has been used as a basis for creating a rigorous scientific protocol (EcolCareTM), a result of many years of scientific experimentation and rigorous testing to assess the potential impact of commonly used personal care products (including sunscreen) on marine life and environment. 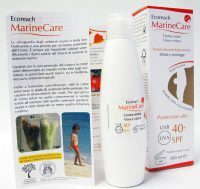 Indeed, EcoReach’s mission is creating eco-sustainable products, perfectly compatible with the environment and able to protect marine ecosystems and their biodiversity. EcoReach’s team is experienced in project coordination and management, dissemination plans and outreach, laboratory and field research, statistical analysis of data, tutoring and training activities. Our company works in collaboration with academia, research centres, non-governative organizations and scientific associations, public bodies and other SMEs. Our staff consists of researchers and post-doc of the Polytechnic University of Marche with consolidated experience in research applied to marine life and environment.